all news and projects related to the luxury fashion house balenciaga. balenciaga is a luxury fashion house founded in spain by cristóbal balenciaga, a designer born in the basque country, spain. for every right fashion gives the world, there will always be one wrong or at least those one-off items that get everybody talking and become fashion design phenomenons... from great fashion-house's like balenciaga and their IKEA totes, platform crocs and car mat skirts, to up and coming designers who create much talked about items like denim thongs, here designboom gathers all news and information regarding the fashion's fantastic and its faux-pas. 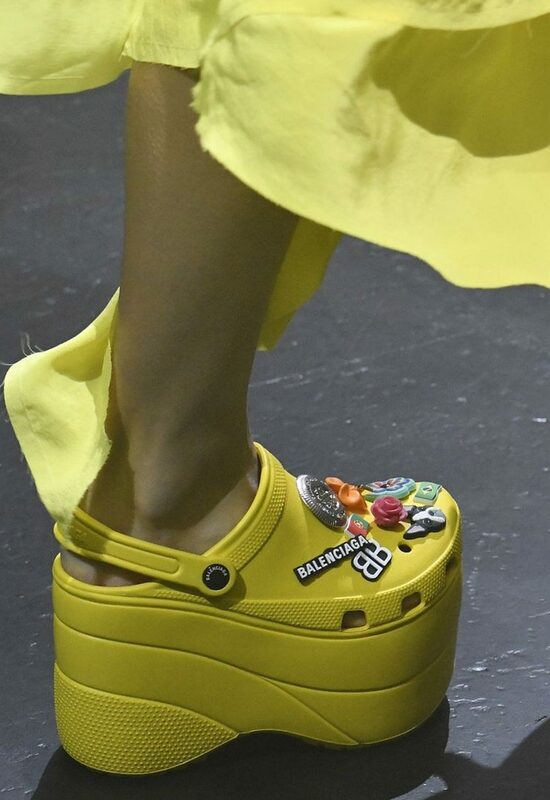 in october balenciaga unveiled their collaboration with crocs on the runways of paris and obviously they sparked off quite the debate between lovers, loathers and well we guess – laughers. well the pair are having the last laugh now as several months on and the balenciaga platform crocs are officially available for pre-order but guess what…they’ve sold out. 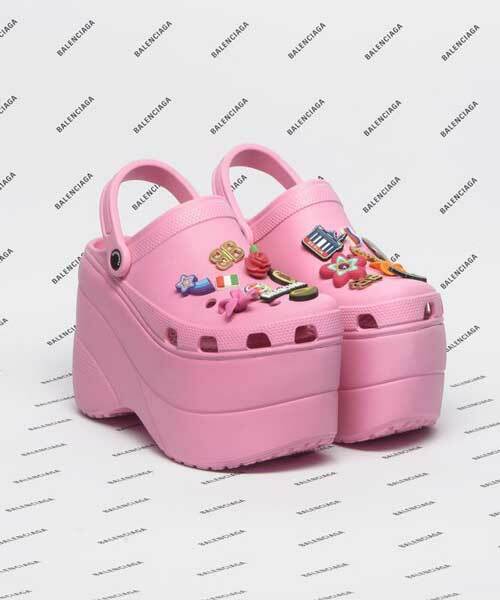 the platform crocs come in two colours, pink and toast, and are available via barneys new york. the foam shoes allow wearers to customise options using a form of pins that can be attached to the shoe’s famed perforations. to secure yourself a pair you will need $850 and to maybe set a google alert to let you know when they’re back in stock.